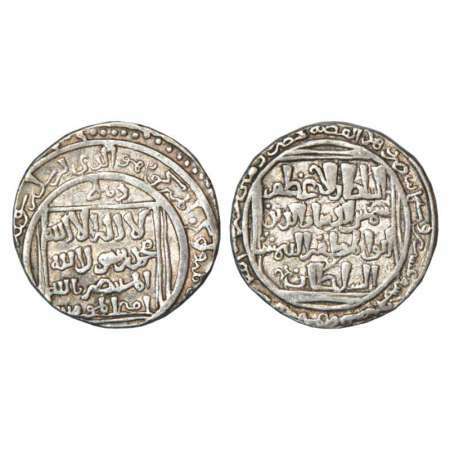 Turks, Shams al-din Iltutmish (1210-1235 AD), silver tanka, 10.75g, mintless type, in the name of the caliph Al-Zahir, al sultan al azam legend, AH 624, G&G D33 (listed as RRR). Very fine+, Very rare with clear date. Turks, Shams al-din Iltutmish (1210-1235 AD), silver tanka, 10.96g, Hazrat Delhi mint, in the name of the caliph Al-Mustansir; al sultan al azam legend, AH 625, G&G D34 (plate specimen) (listed as RRR). 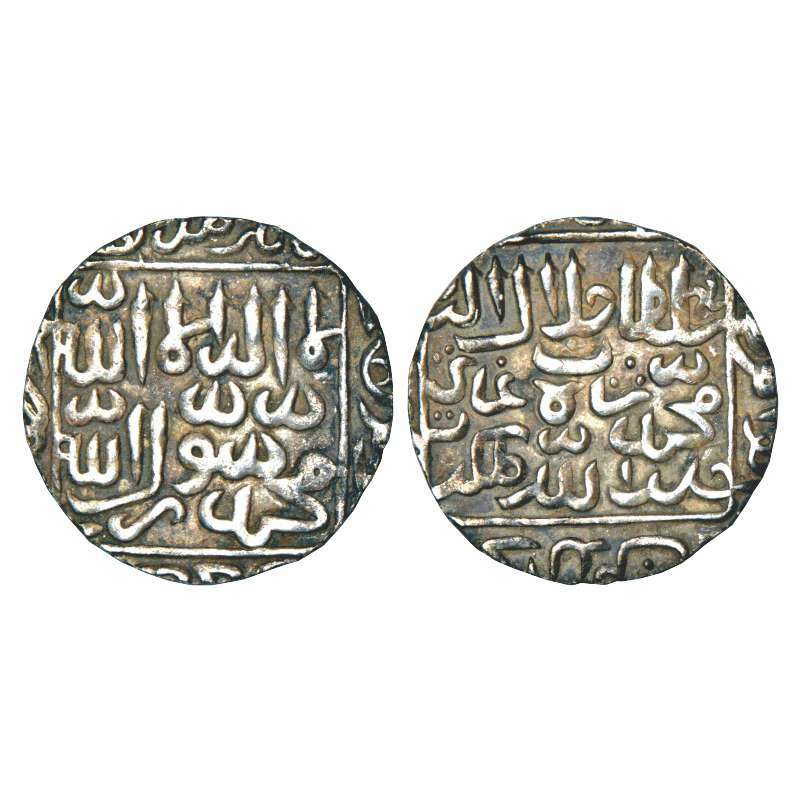 Kalima in central double square, H118Dehli on top, Quranic verses in margin on obverse. Very fine, Very rare with clear date. 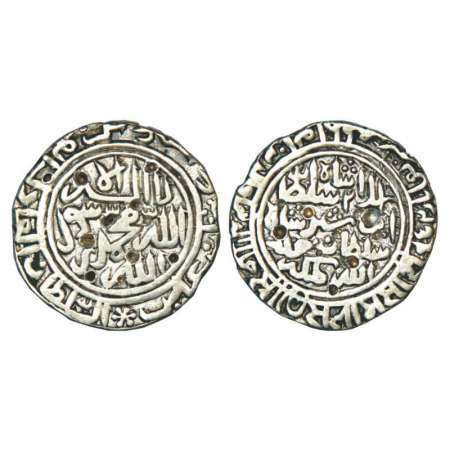 Turks, Rukn al-din Firuz Shah (1235 AD), silver tanka, AH 633, 10.83g, Delhi mint, citing the name of Shamsuddin Iltutmish, Obv: Al Sultan al Azam Shams ud Duniya Wa ud din as Sultan Al muazam Rukn al duniya wa al Din Firuz Shah.Rev: Fi ahd al imam al Mustanasir Amir al mominin, Sanah Shahur Salas wa Salasin wa Shatamiya (633 in words). Mint name Delhi in bold on top, G&G D90. 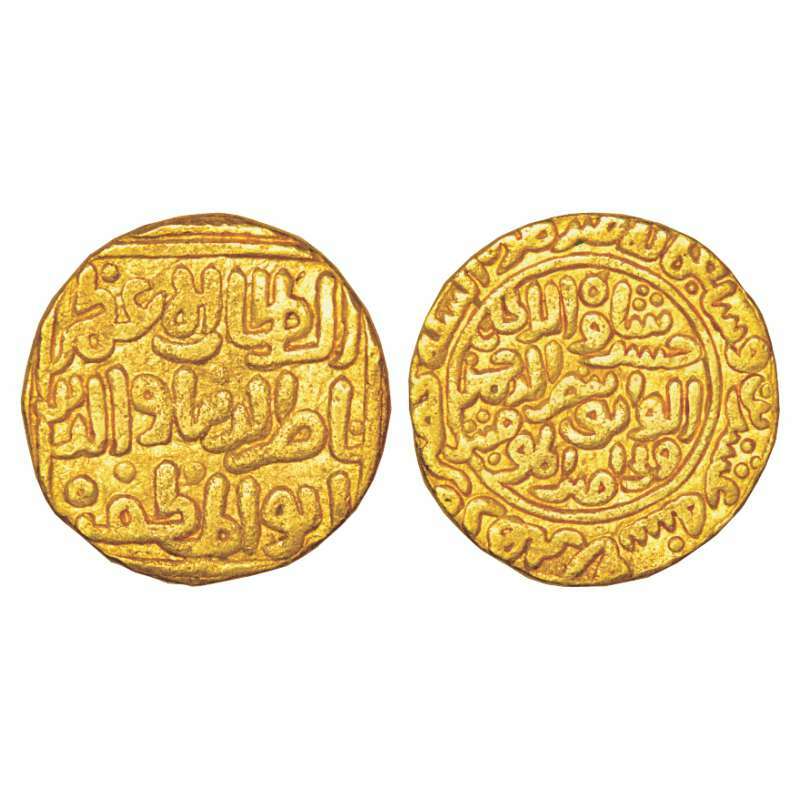 Khaljis, Ala al-Din Muhammad Khaljis (1296-1316 AD), gold tanka, 10.96g. 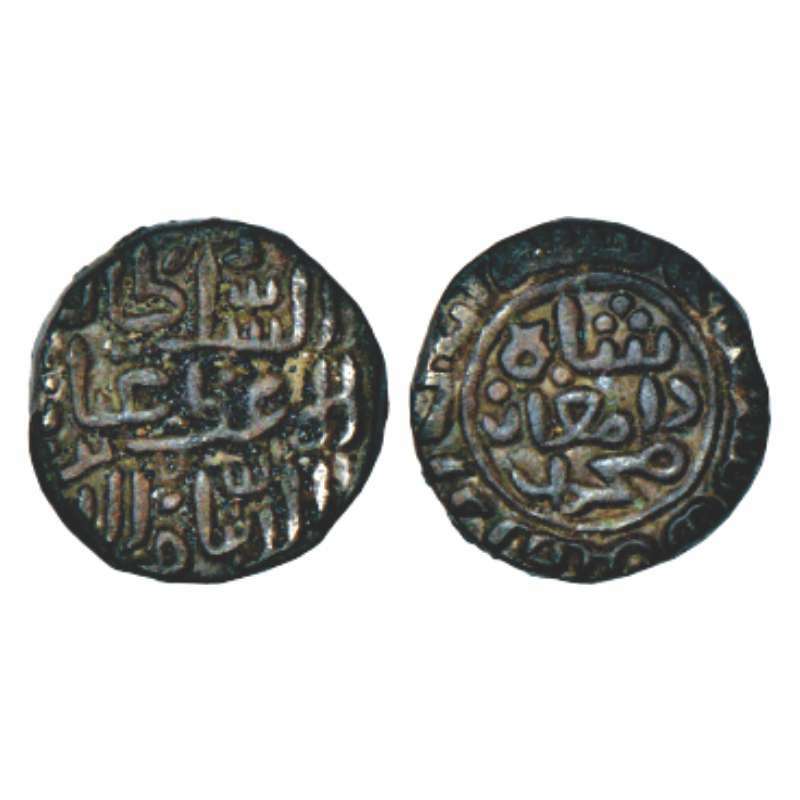 Hazrat Dehli mint, AH 710. 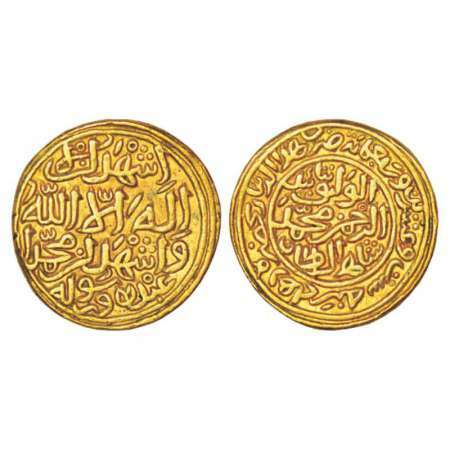 Obv: Arabic legend al-Sultan al azam ala al dunya wa l din abu l Muzaffar Muhammad Shah al Sultan. Rev: Arabic legend Sikandar al -thani yamin al-Khilafa Nasir amir al mu minin, date and mint details in margin, G&G D221. 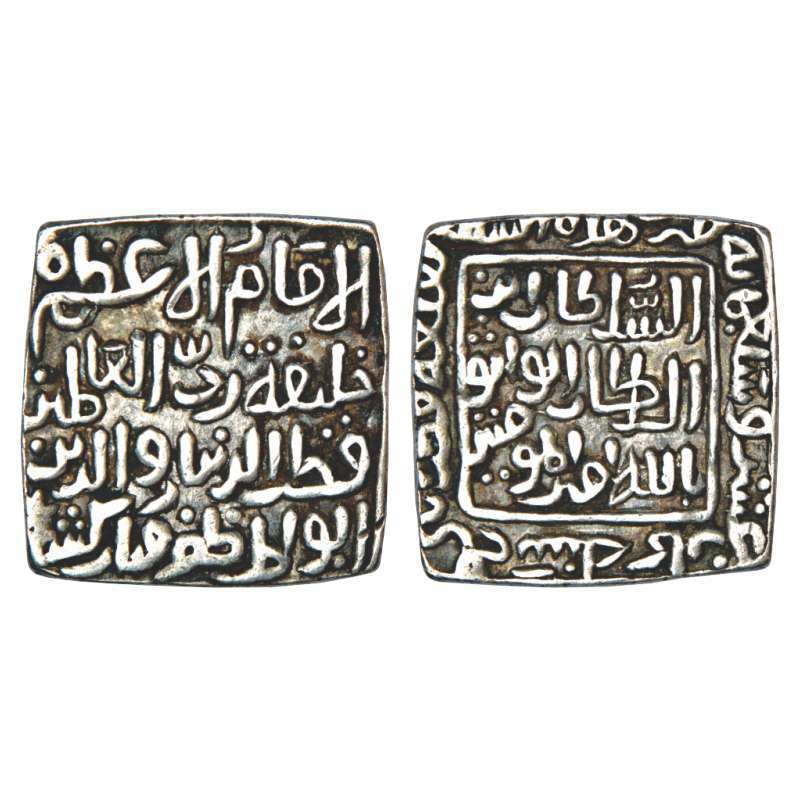 Khaljis, Qutb Al-Din Mubarak (1316-1330 AD), silver square tanka, Qila Qutbabad mint, AH 718, 11.90g. Obv: Arabic legend al-imam al a'zam Khalifa rabb al-alamin Qutb al-dunya Wa'/din abu'/ Muzaffar Mubarak Shah. 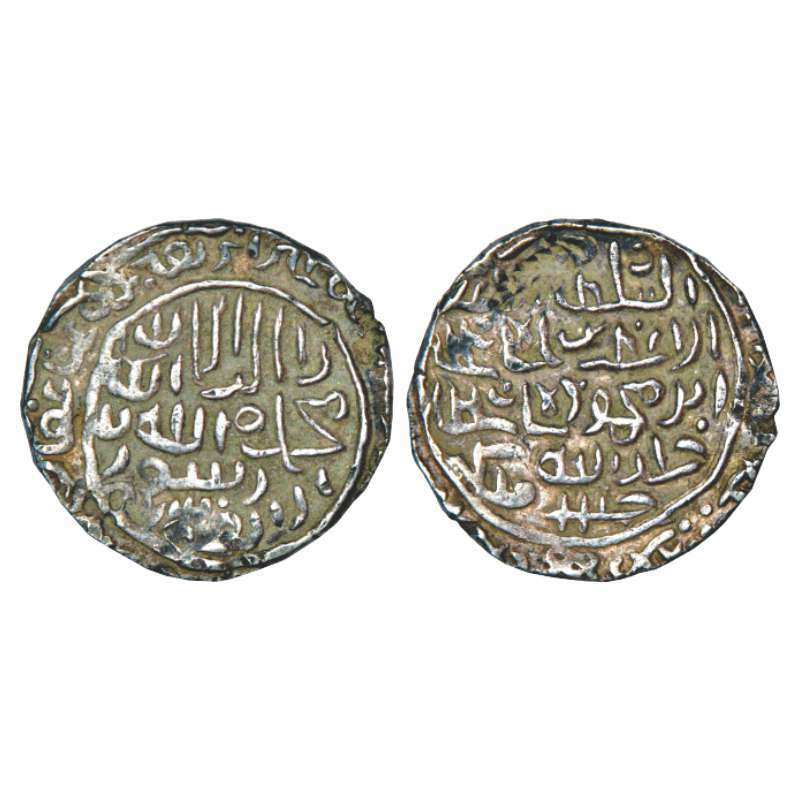 Rev: Arabic legend al-sultan ibn al-sultan al-wathia billah amir al-mu'minin, Mint-name and AH date in margins, unlisted in G&G. 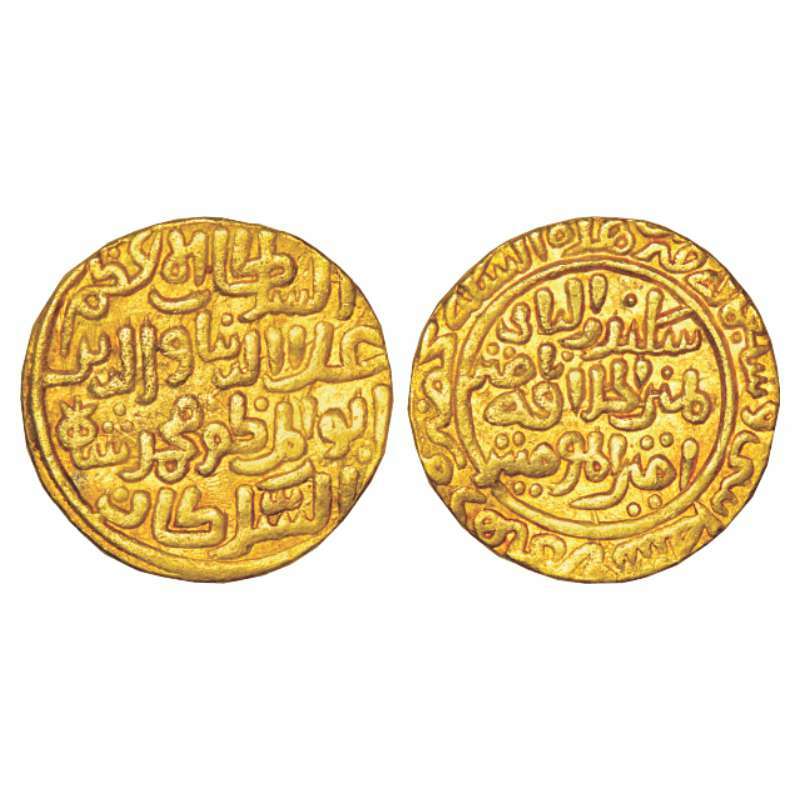 The coin is known in gold but not in silver in square shape. Thus unique. 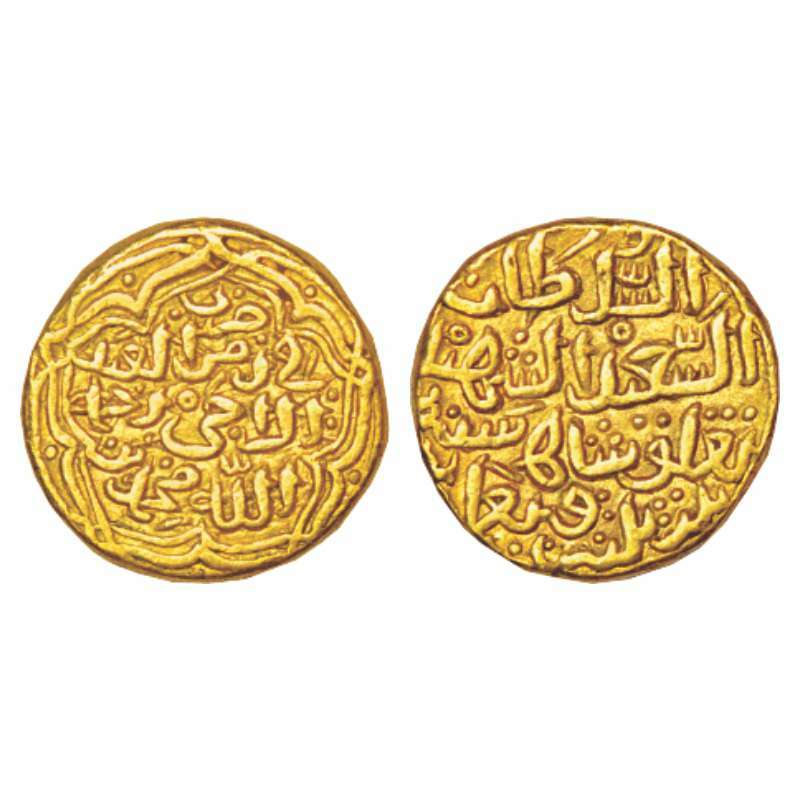 Khusraus, Nasir al-Din Khusrau (1320 AD), gold tanka, Hazrat Delhi mint, AH 720, 10.91g. Obv: Within double rectangle, Arabic legend al-Sultan al-'Azam Nasir al-Dunya wa al-Din Abu al-Muzaffar. 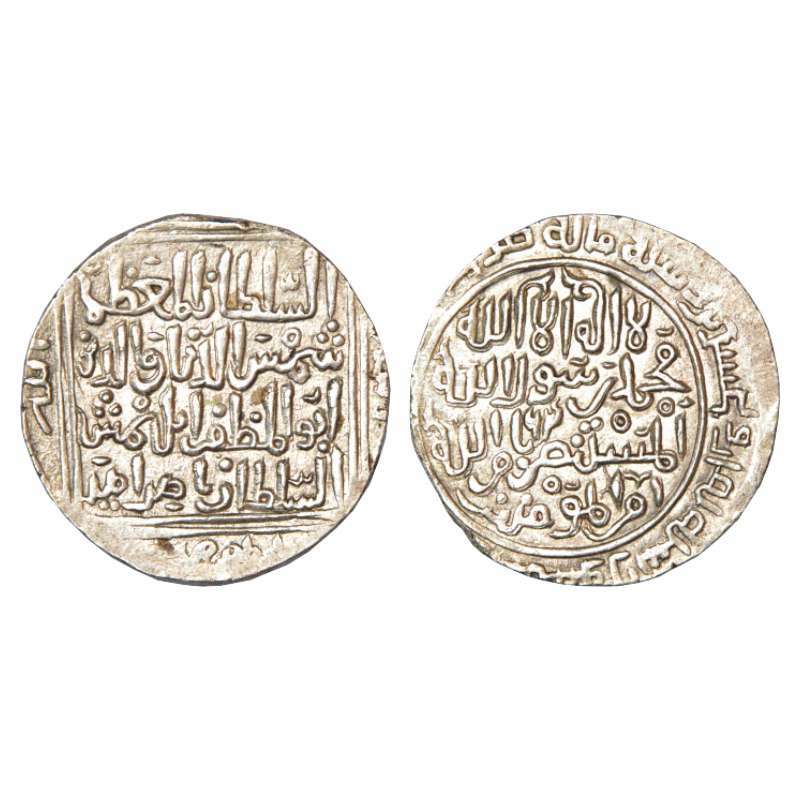 Rev: In circle, Arabic legend Khusrau Shah al-Sultan al-Wathiq ba-Nasr al-Rahman Wali Amir al-Mumineen; date and mint around, G&G D290. 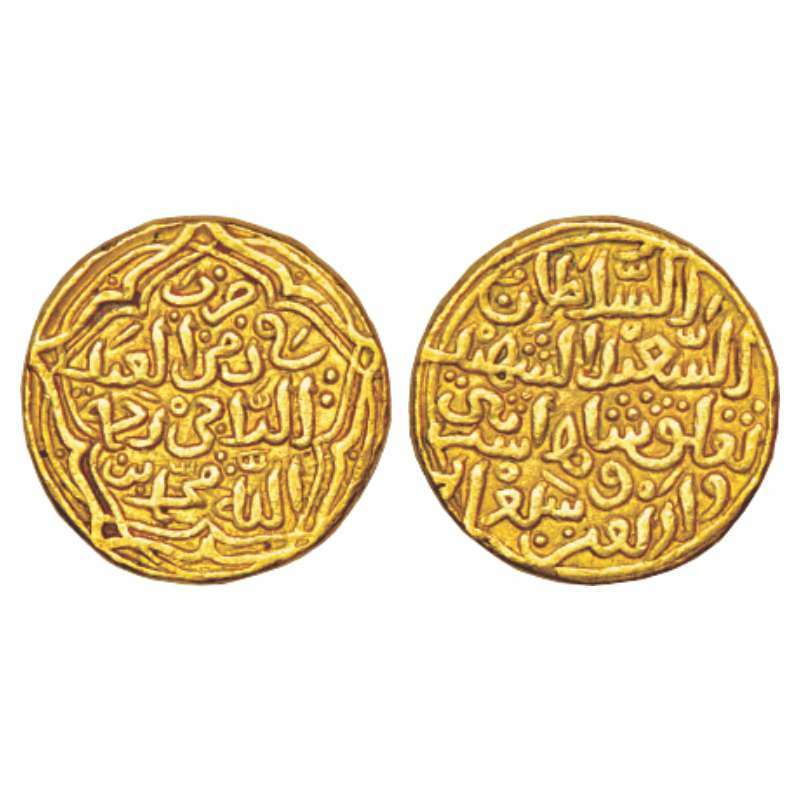 Coins of this short lived Emperor are very rare. 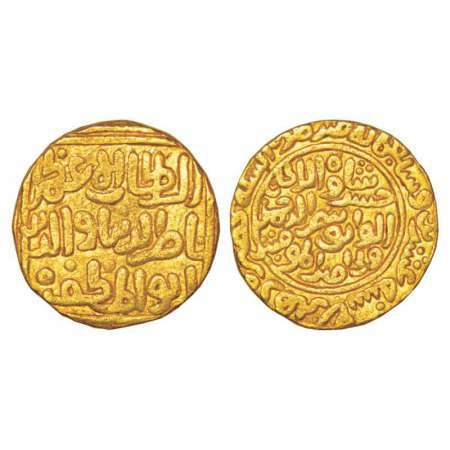 Tughlaqs, Muhammad Bin Tughlaq (1325-1351 AD), gold dinar, 12.80g, Hadrat Delhi mint, AH 726, G&G D332. 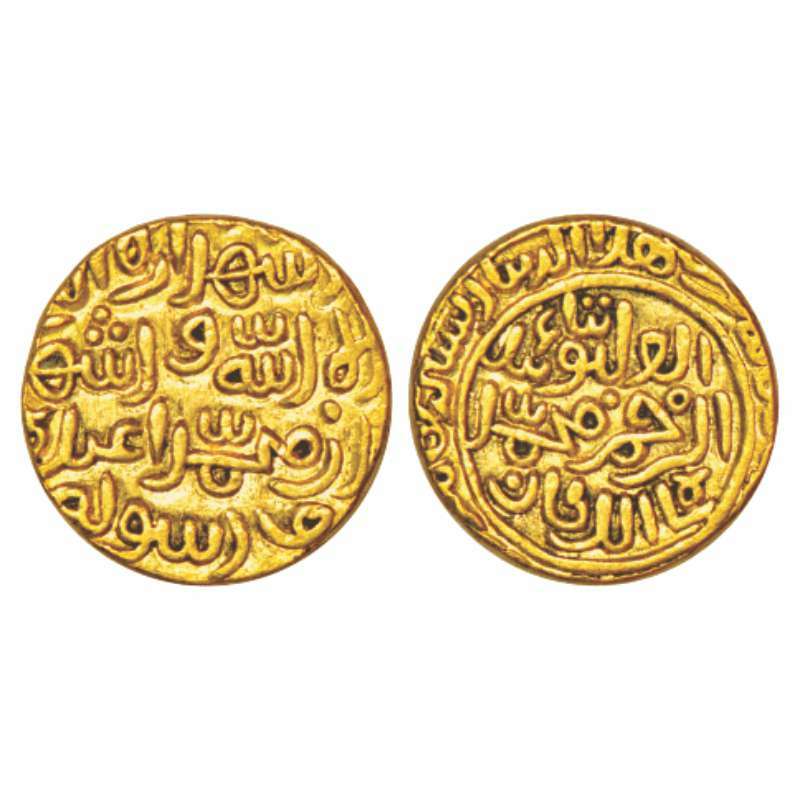 Tughlaqs, Muhammad Bin Tughlaq (1325-1351 AD), gold dinar, 'al-Wathiq' type, Shahr Sultanpur mint (by style), date off flan, G&G D333, 12.83g. Obv: Shahada Ashahad An La Ilah il-Allah wa Ashahad An Muhammad Abdauhu wa Rasuluhu. 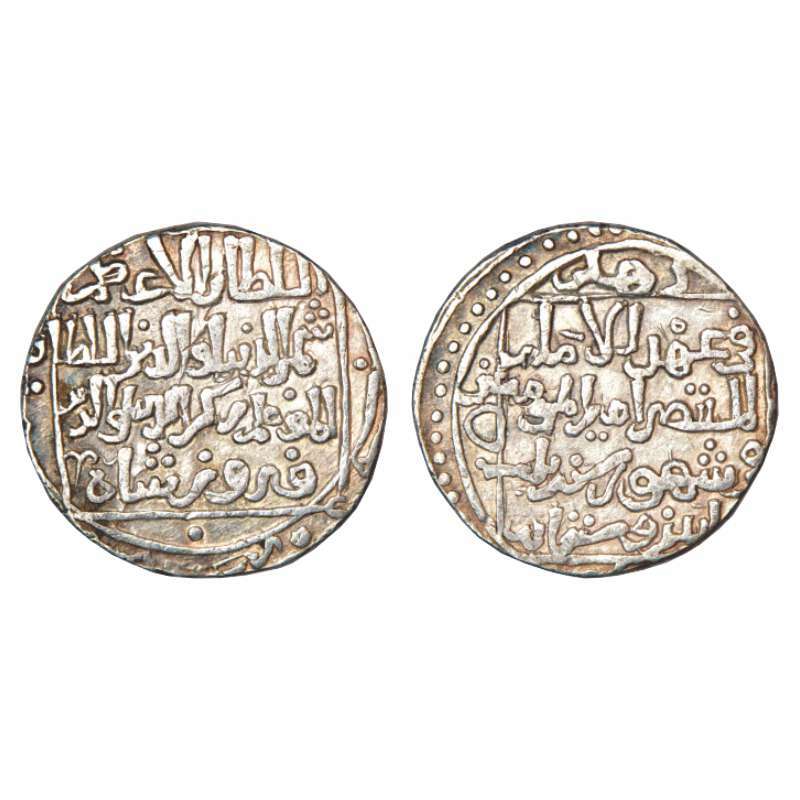 Rev: In circle Arabic legend al-Wathiq ba-Tayeed al-Rahman Muhammad Shah al-Sultan; date and mint details in margins. 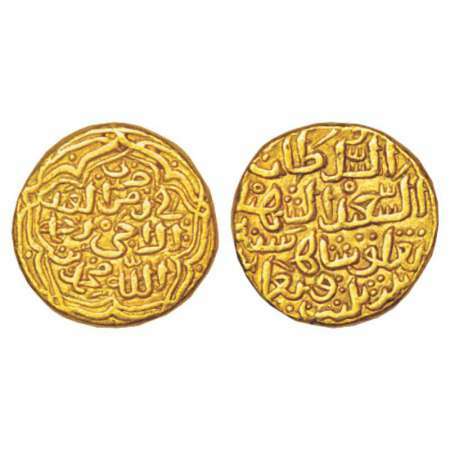 Tughlaqs, Muhammad Bin Tughlaq (1325-1351 AD), gold tanka, 'Fi Zaman / al-Sa'eed' type, Mintless, AH 734, 10.98g. 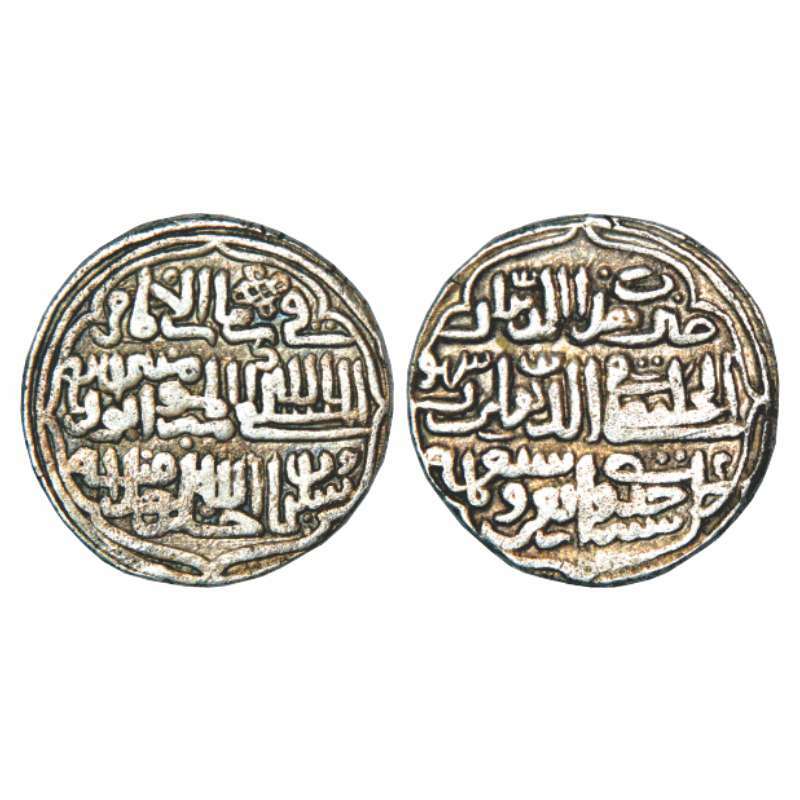 Obv: In a cinquefoil cartouche, Arabic legend darb fi zaman al-ab'eed al- rajirahmat-allah Muhammad bin. Rev: Arabic legend al-sultan al-sa'eed al-shahid Tughlaq shah followed by AH date in words, G&G D345. 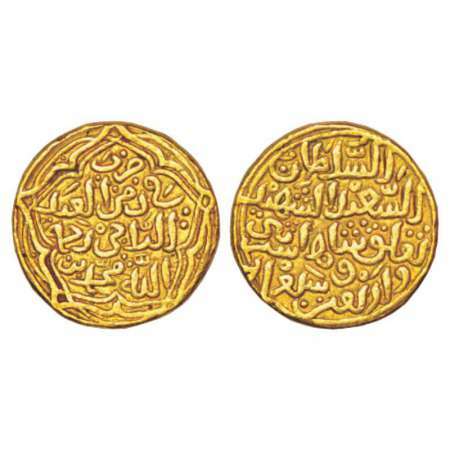 Tughlaqs, Muhammad Bin Tughlaq (1325-1351 AD), gold dinar, Fi Zaman/al Sa'eed type, mintless, AH 742, G&G D345, 10.99g. 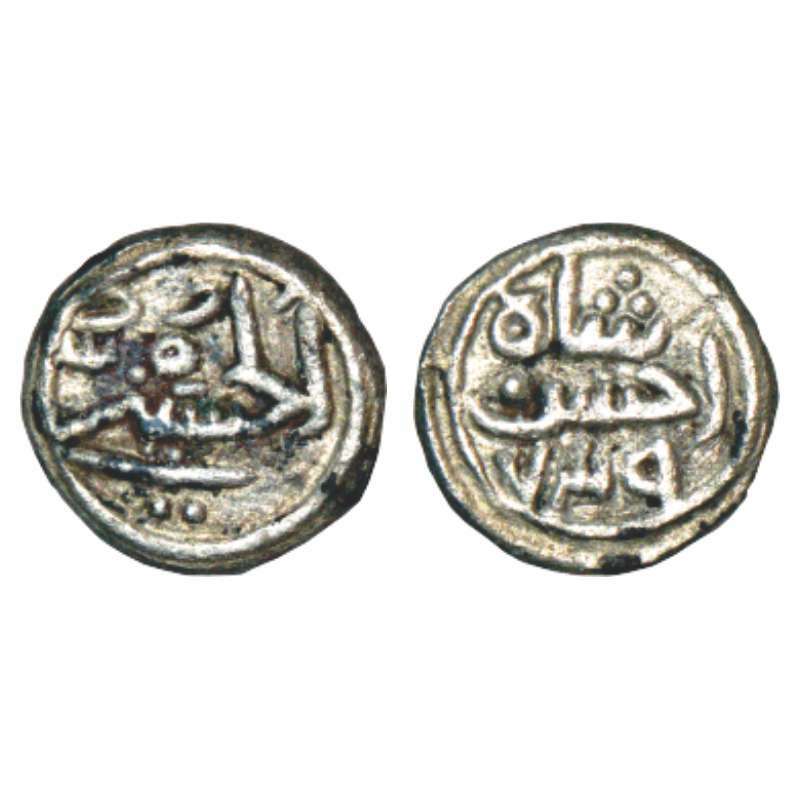 Obv: in a Cinque foil carlouche, Arabic legend darb Fi zaman al-ab'eed al rajrahm al-allah Muhammad bin. Rev: Arabic legend al-Sultan al sa'eed al-shahid Tughlaq Shah followed by AH date in words. 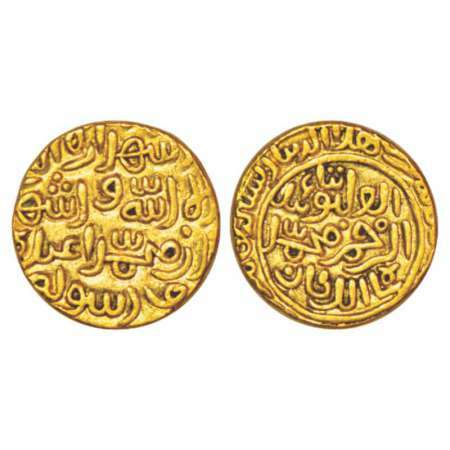 Tughlaqs dynasty, Muhammad Bin Tughlaq (1325-1351 AD), gold dinar, struck in the name of Caliph al-Mustakfi of Baghdad, Delhi mint, AH742, G&G D427, 11.07g. 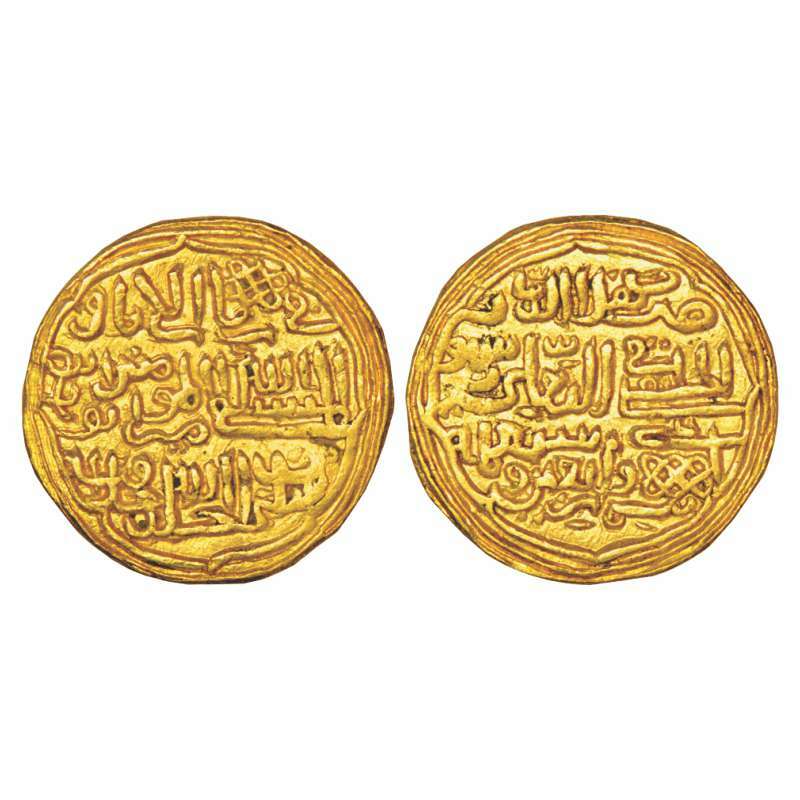 Obv: Arabic legend Fi Zaman al-Imam al-Mustakfi Billah Amir al Mumineen Abu Rabi'i Sulaiman Khallada Allah Khilafatahu. 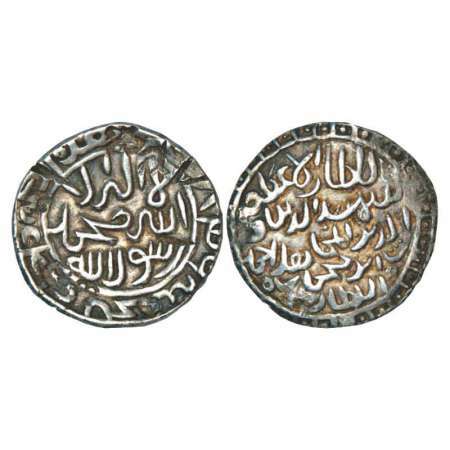 Rev: Arabic legend Dhuriba Hadha al-Dinar al-Khilafati fi al Delhi Shuhur followed by date in words. 26.64mm, Broad flan, both side full border. The coin is struck in an exceptional size showing complete die impressions on both sides along with double circular margins. 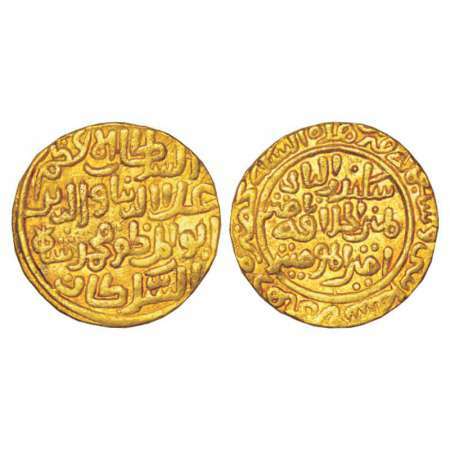 Most likely the coin was specially struck for a ceremonial purpose. 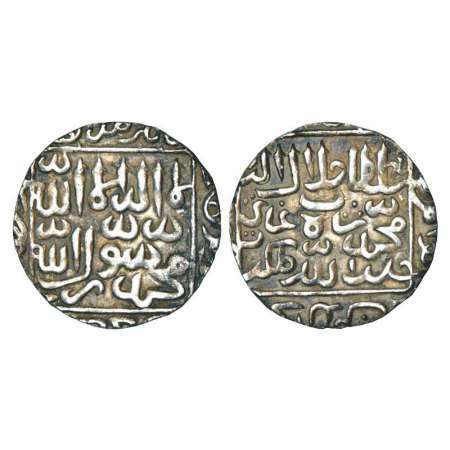 Tughlaqs, Muhammad Bin Tughlaq (1325-1351 AD), silver tanka, struck in the name of Caliph al-Mustakfi of Baghdad, Delhi mint, AH 741, G&G D430, 10.43g. 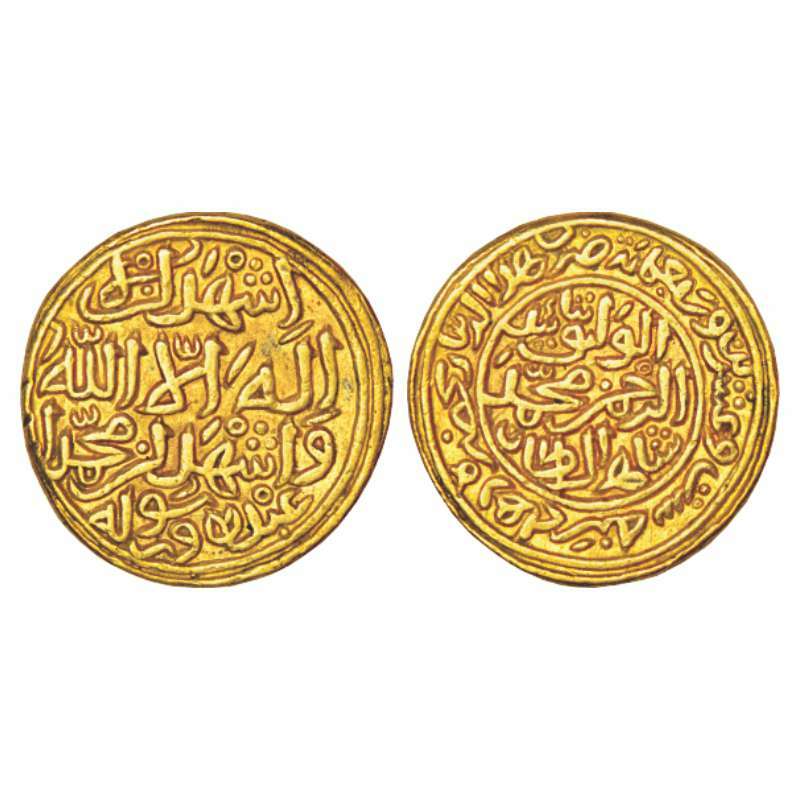 Obv: Arabic legend Fi Zaman al-Imam al-Mustakfi Billah Amir al-Mumineen Abu Rabi'i Sulaiman Khallada Allah Khilafatahu. Rev: Arabic legend Dhuriba Hadha al-Dinar al-Khilafati fi al-Delhi Shuhur followed by date in words. 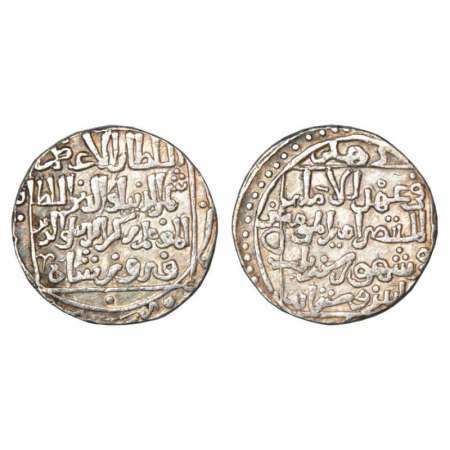 Silver coins of this type are extremely rare as compared to the gold coins. 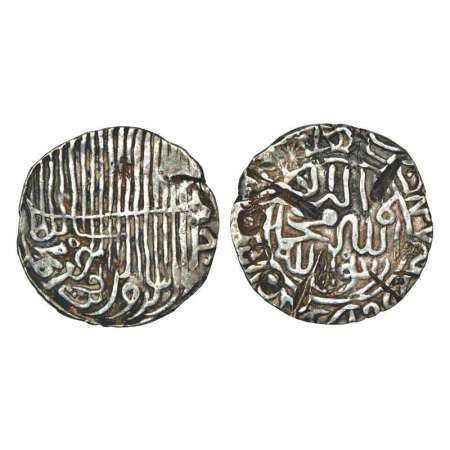 Suris, Sher Shah (1538-1545 AD), silver rupee, AH 949, 'Jahanpanah' type, G&G D812. Suris, Sher Shah (1538-1545 AD), silver ½ rupee, 'Jahanpanah' type, AH 949, G&G D813 (listed as RRR), 5.32g. 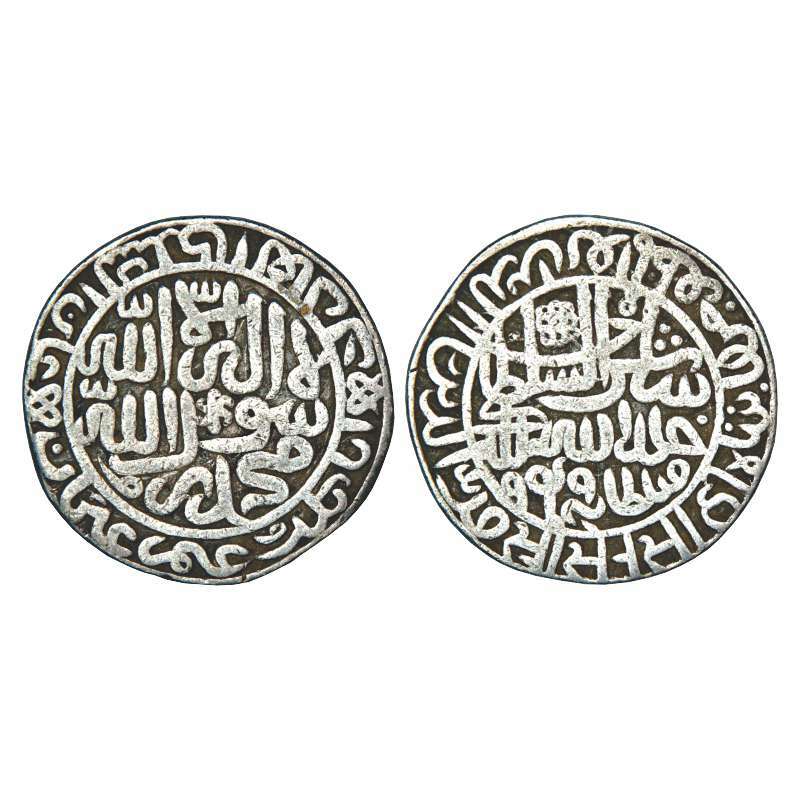 Obv: Shahada in circular border, names of Rashidoons around; al-Sultan al-'Adil in continuation. 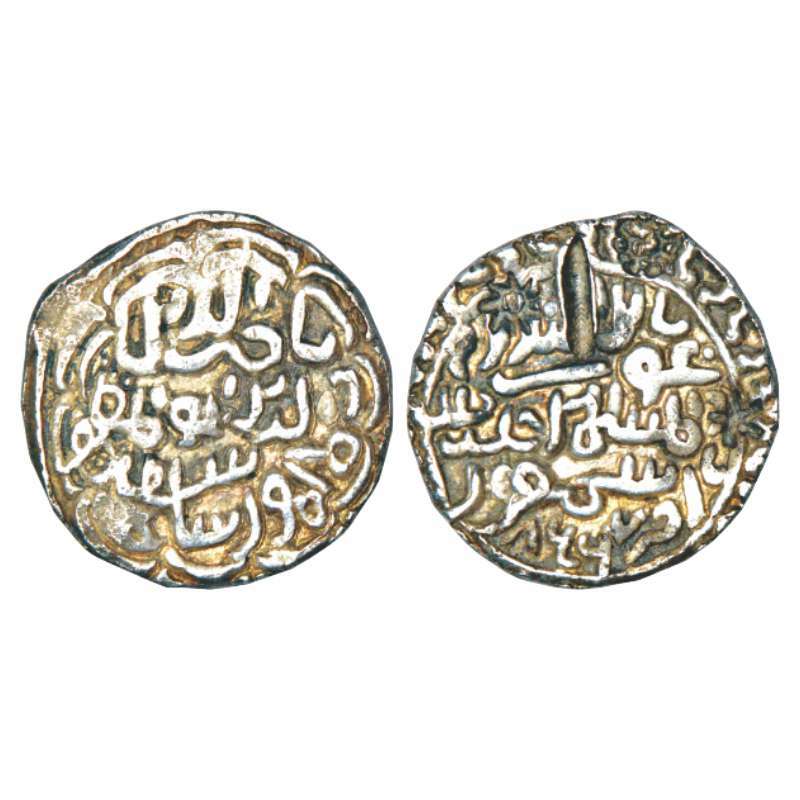 Rev: In circular border Sher Shah al-Sultan Khallada Allah Mulkahuwa Saltanahu; Nagari legend Sri Serasahi and other titles, including Abu al-Muzaffar Jahanpanah around. 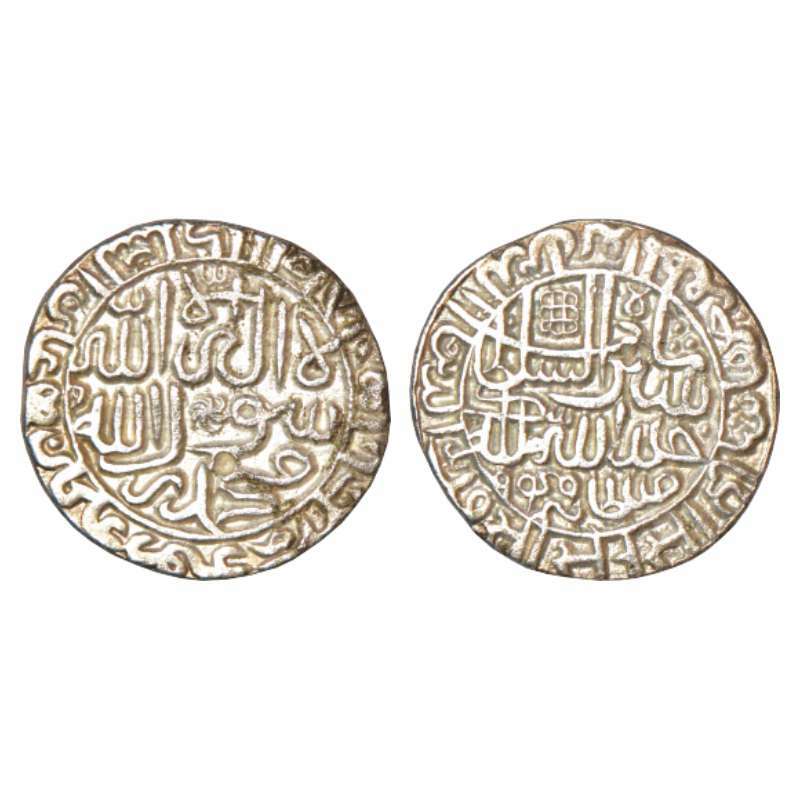 Suris, Islam Shah (1545-1552 AD), silver rupee, Sharifabad mint, AH 952, G&G D970, punches on edge. 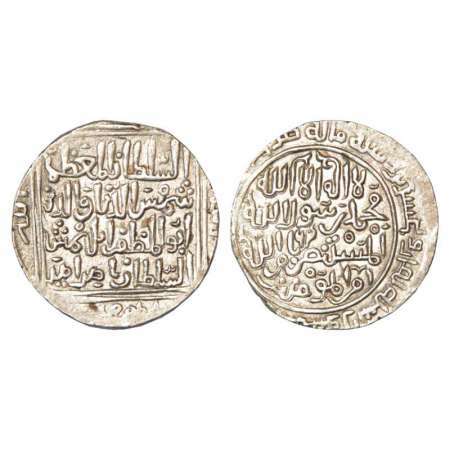 Suris, Sikandar Shah (1554?-1555 AD), silver rupee, Lahore mint, AH 961, G&G D1150, 11.37g. 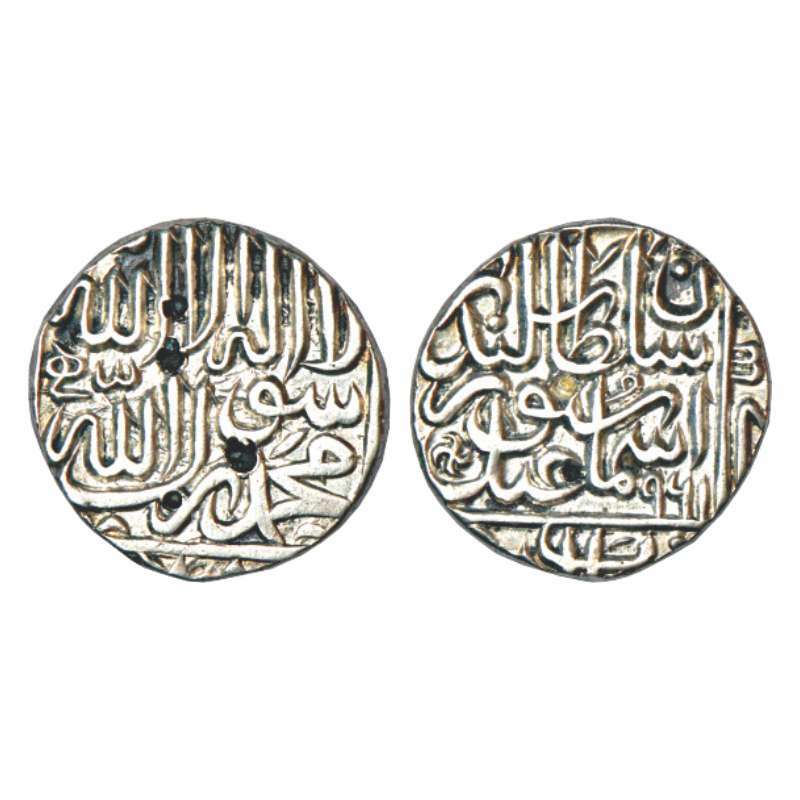 Obv: Shahahda, Rev: Sultan Sikandar Shah Ismail Sur, mint below Lahore, dates 961. The date 961 is much rarer than 962 for this ruler. 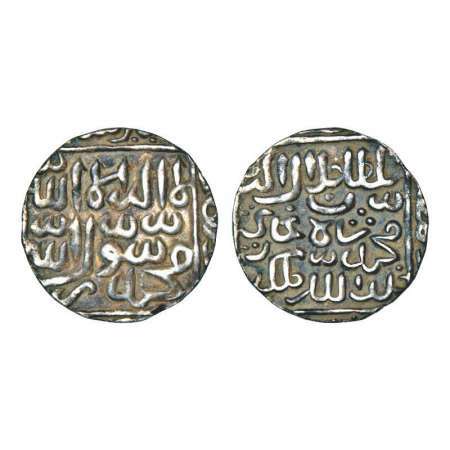 Silver tanka struck in the name of Iltutmish (Sultan of Delhi) and Caliph al-Mustansir (1230-1236 AD), AH 628, G&G B47, 10.88g. 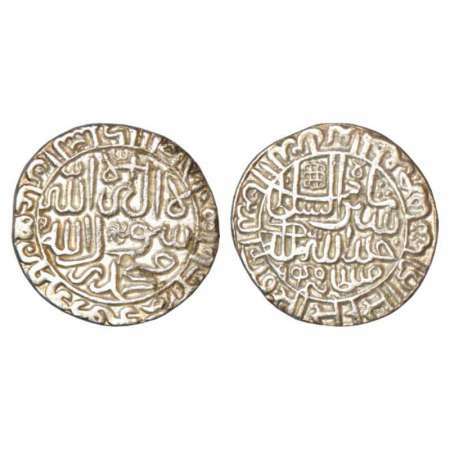 Obv: Within square border, Arabic legend al-Sultan al-'Azam Shams al-Dunyawa al-Din Abu al -Muzaffar Iltutmish (al-Sultan Nasir Amir al-Mu…) Rev: Within circle, Kalima and Arabic legend al-Mustansir b'Amr Allah Amir al-Muminin, AH date in words around, 628 listed as RR. However the dates are known only from 630 in this type; a clear existence of 628 on this coin is extremely rare. 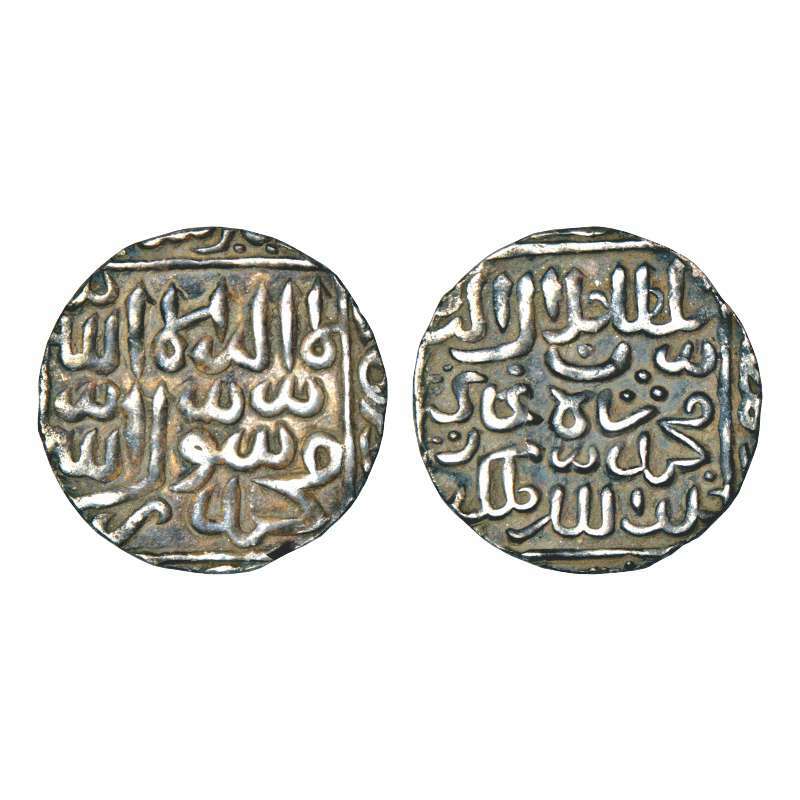 Jalal al-Din Muhammad Shah (1418-1432/3 AD), silver tanka, Firuzabad mint, ruler's name in Tughra style, G&G B349. 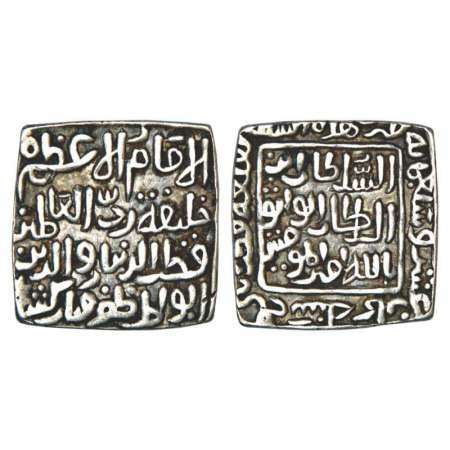 Shams al-Din Ahmad (1432 AD), silver tanka, Dakhil Banjaliya mint, AH 836, G&G B391. 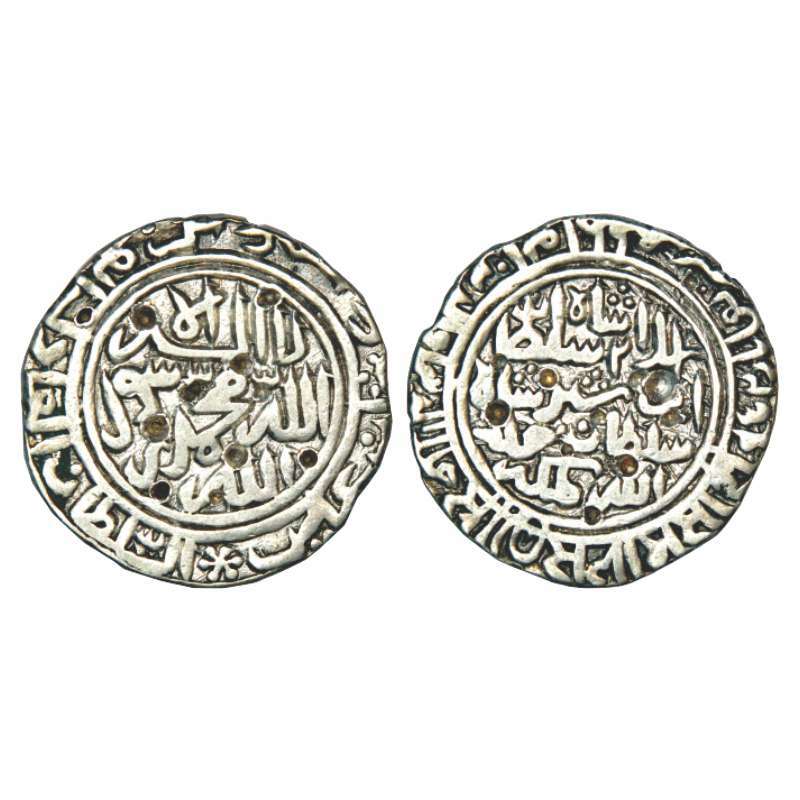 Nasir al-Din Mahmud Shah (1433-1459 AD), silver tanka, Sabtahara or Simur mint, AH 856, G&G B445, 10.72g. 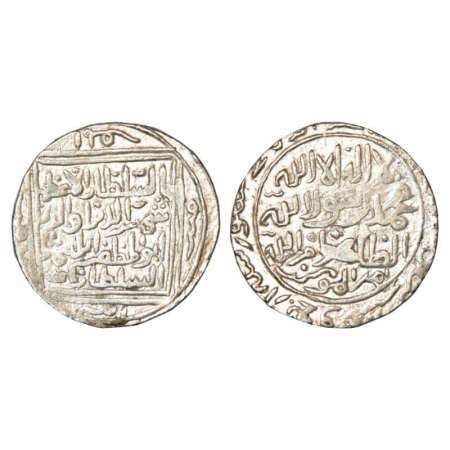 Obv: Legend in scalloped circle Nasir al-Dunya wa al-Din Mahmud Shah Sultan. Rev: Legend in ornamented circle Ghauth al Islam wa al-Muslimeen, followed by the mintname. 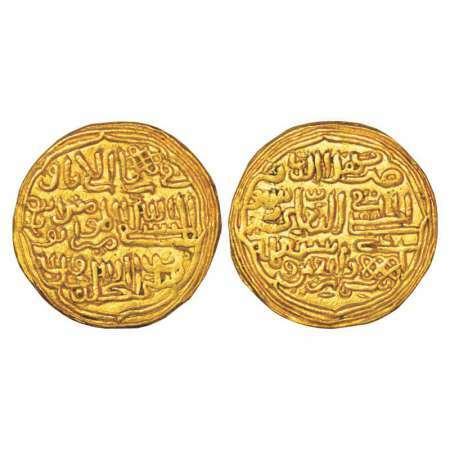 The reading of the mint name is not certain, but G&G suggest 'Sabtahara' is more likely. However it appears to end in '-pur'. 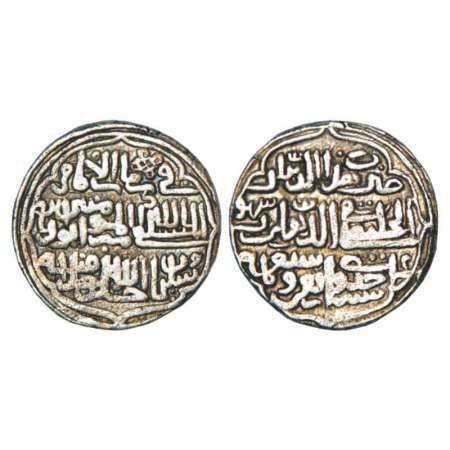 Rukn al-Din Barbak Shah (1459-1474 AD), silver tanka, uncertain (Nasirabad?) mint, G&G B530, 10.58g. Obv: Shahada in circle; names of Rashidoons and their titles around. Rev: Arabic legend in circle Zarb al-Sultan al-'Adil al-'Azam Barbak Shah Sultan ibn Mahmud Shah Sultan Khallada Allah Mulkahu wa Saltanahu followed by mint-name. Although G&G have commented that the mint name in this case is 'uncertain', it looks like 'Jannatabad' engraved crudely. 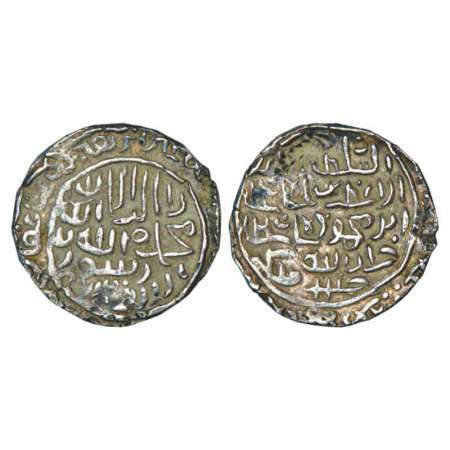 Ghiyath al-Din Jalal Shah (1560-1563 AD), silver rupee, Satgaon mint (off flan), without nagri legend, G&G B971. Jalal al-Din Ahsan Shah (1333/4-1339 AD), billon jital, AH 739, 3.06g. Obv: Arabic legend al-husaini. 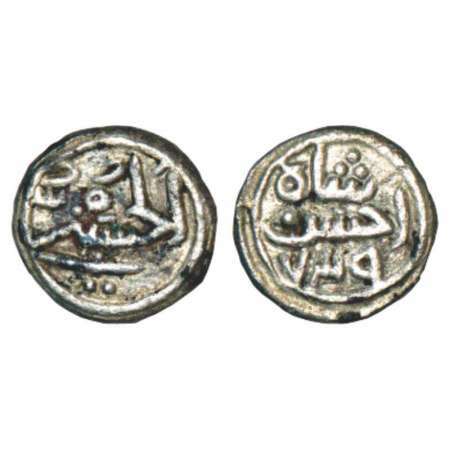 Rev: Arabic legend Ahsan shah and AH date, G&G MD3 (wrongly listed as a silver coin). 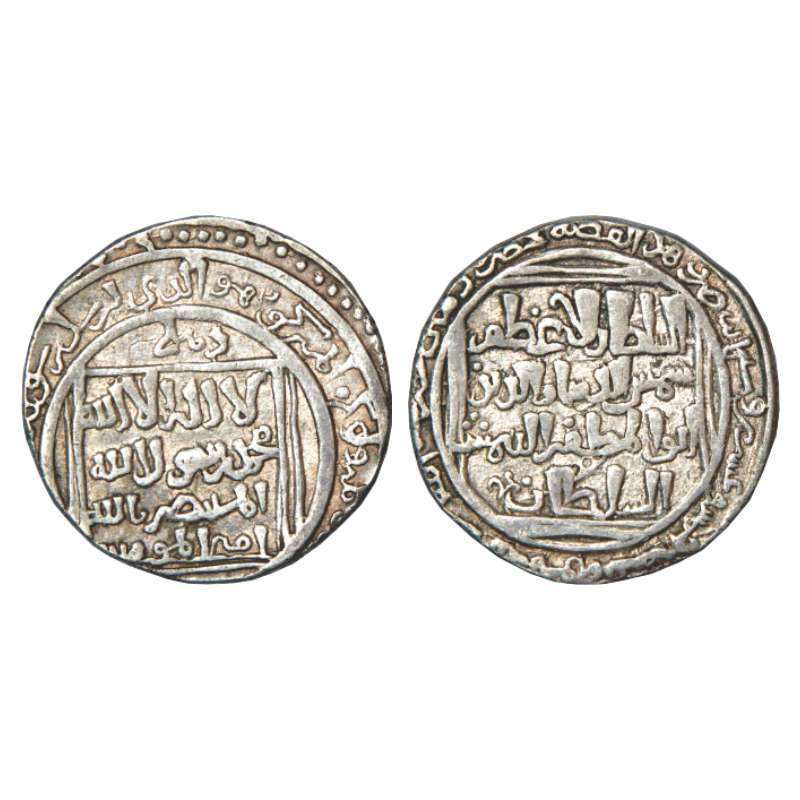 Ghiyath al-Din Muhammad Damghan Shah (1340-1344 AD), billon jital, AH 742, 3.55g. Obv: Arabic legend al-Sultan al-'Azam Ghiyath al-Dunyawa al-Din. 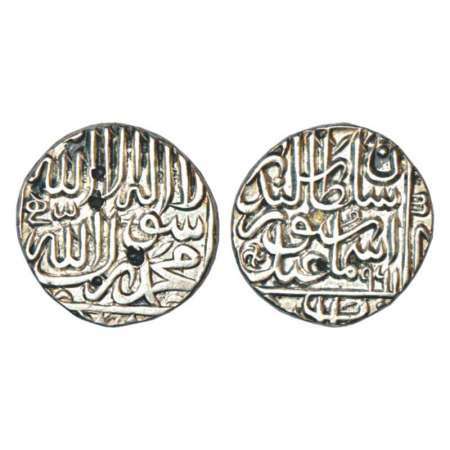 Rev: In circle, Arabic legend reading bottom to top Muhammad Damghan Shah; date in words around, G&G MD15.